Why eliminating certain foods based on IgG screening tests is not necessary and what IgG test might mean. Why making your own Paleo baby food is dangerous. Does Leaky Gut really exist? In between new ideas and the evidence that supports or refutes them is a grey area where dietitians must navigate and offer interim guidance relevant to their immediate situation. 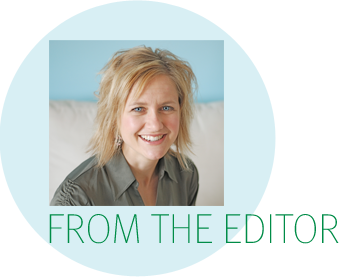 The challenge for dietitians is how to navigate these areas where we have less certainty. There are many evolving ideas in the field of nutrition and dietetics that could fit within these categories of certainty: food and detoxification, Paleo diet and chronic disease, dietary intervention for fibromyalgia and more! While there may be other categories to consider, Novella’s categories of certainty offer a practical way to help organize thinking around emerging issues in food and nutrition, and may help to frame your response to the immediate question at hand. Knowing that the answer is not likely true or false, but rather a degree of certainty may help with navigating dietetics and maintaining open conversations to ideas in our sometimes-controversial field. Share our insights into the challenges of nutrition and dietetics in What keeps dietitians up at night? 10 reasons why you can’t sleep. Highlight 11 resources to help you provide evidence-based guidance on sugar in our Evidence Highlights. Show you a sampling of what content is new and updated in the PEN® database and how to access client handouts from our PEN® handouts collection. A Publication of the PEN® System Global Partners, a collaborative partnership between International Dietetic Associations. Learn more about PEN. What are the optimal measures for monitoring growth for infants and children and how should these measures be interpreted? How well do parents understand or interpret growth charts? What are the indications for the use of vitamin/mineral supplements during pregnancy? What lifestyle factors (including body weight, diet and vitamin/mineral supplements) play a role in the treatment of infertility in women? Are there any risks with regard to alcohol consumption specific to individuals with diabetes? What types of formulas are suitable for formula-fed infants and for what duration? Why is iron-fortified formula recommended for formula-fed term infants? What is the recommended level of iron fortification in formula? How often should healthy term infants (born after 37 weeks gestation) have their growth assessed using weight, length and head circumference measurements? Which growth charts should be used for monitoring children's growth? Are there significant differences in the growth patterns of infants, birth to one year of age, who are breastfed versus formula fed? What role does growth monitoring have in identifying nutrition-related problems in infants, children and adolescents? What factors are associated with postpartum weight loss? Are there any nutritional concerns for women having closely spaced pregnancies? Can web-based management tools used in diabetes management improve diabetes outcomes? Can quinine help prevent or alleviate leg cramps? Is there a role for any particular nutrients in the prevention or alleviation of leg or muscle cramps during pregnancy? Is there evidence to support a benefit for taking omega-3 fatty acid supplements during pregnancy? What steps can be taken to decrease the risk of Enterobacter sakazakii (Cronobacter spp.) infection and illness from powdered infant formula among infants? What dietary recommendations can benefit women without diabetes who experience hypoglycemia during pregnancy? Do dietary supplements affect glucose control in adults with diabetes and can these products be safely recommended for use for this population? What are the recommendations for the preparation, use, handling and storage of infant formula? In healthy adults and adults with chronic disease, what is the impact on health behaviour change of telehealth interventions (i.e. telephone, Internet/web-based, email, text messaging, mobile applications) delivered by health care providers compared with usual care? Are telehealth interventions cost-effective? What are the characteristics of effective telephone counselling to achieve health behaviour change in adults (i.e. intensity, duration, type of clients, characteristics of providers)? Are green coffee bean extract supplements safe and effective for weight loss among overweight or obese adults? Other Topics: http:www.pennutrition.com/NewsMakingEvidence.aspx Updated Canadian Stroke Best Practice Recommendations - Acute Inpatient Stroke Care Guidelines; Position Paper: Introduction of Gluten into Infant's Diet; New 2015-2020 Dietary Guidelines for Americans; Are Your Clients Asking About 'Leaky Gut Syndrome'? ; Are Your Clients Thinking About Intermittent Fasting? How Do I … access PEN® client handouts from the PEN® Handout Collection? What are food sources of iodine? What are diet and cancer prevention basics? What are eating guidelines for food allergies and intolerances? Take a look at our PEN® Client Handout Collections. 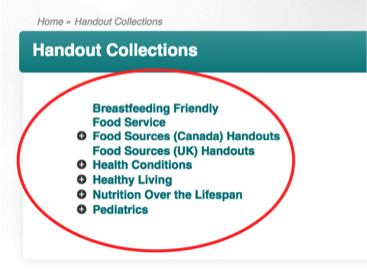 The number of client handouts has grown over the years, so PEN has redesigned the handout collection to make handouts easier to access and use. Outlined below is how you can access the handouts. 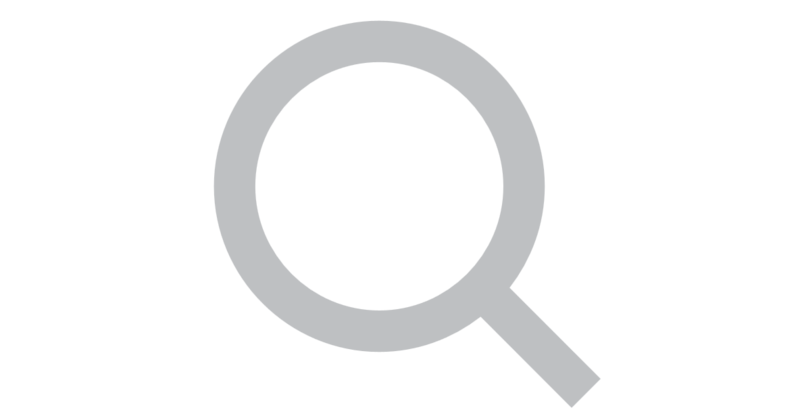 Individual handouts are also identified in relevant search results. There is a + symbol next to some of the categories, that when clicked display subcategories and their related handouts. Click on each category to see the lists of PEN client handouts available. Need handouts in a language other than English? Most handouts have been translated into French. Need handouts that have been adapted to cultural foods? You also have the option of seeing handout titles in French. At the top of each category under the title is English/Français option tab and when you click on Français you will see the handout titles in French. Did you know you can share and customize handouts? 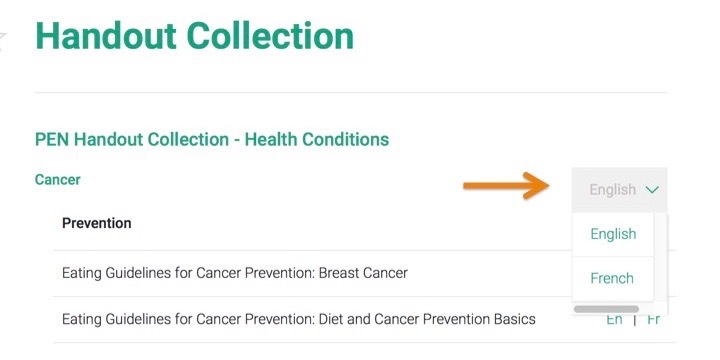 Add your customized nutrition advice to the Notes section by entering them from your computer under the ‘Additional Notes From Your Health Care Professional’, (See How do I…Customize Notes to Client Handouts) or you can write your comments in the Notes section of a printed copy. Print out or email the handouts to your clients. go to Using PEN Power Tools and click on the various sections you need. Read PEN eNews article: How do I… Customize Client Handouts . We hope the redesign of the Client Handout Collection helps you in your practice. Evidence-based teaching – the use of instructional practices shown empirically to enhance learning – was the topic of a recent blog post (Weimer2015). The author posed questions about evidence-based teaching and described a classroom observation tool that identifies 21 specific, evidence-based, observable behaviours and practices of the instructor. The author acknowledges that this classroom observation tool is a starting point to help transfer the learnings from instructional research to instructional practice. I often find myself reflecting on teaching techniques used in classrooms – some work and some don’t, which leaves me working out what might function better the next time. Upon reading the comment article by Weimer (2015) as she presented a tool for assessing evidence-based teaching (Eddy, Converse, & Wenderoth, 2015), I realized that my reflections often work through application of experience, evidence and theory to inform teaching practice. I was struck by the work conducted to develop the classroom assessment tool. It reflected much of the work completed recently for the Canadian dietetic profession. The ICDEPs (Integrated Competencies for Dietetic Education and Practice) also identify observable actions that are rooted in evidence-informed practice. The dietetic profession in Canada is also in the first couple of years of this process for academic education. We have an extensive list of dietetic practices, yet as stated by Eddy, Converse, & Wenderoth (2015), “Some elements may not be perfectly captured by these types of measures.” Each competency encompasses many actions leading to complexities in measuring them. This potential use of such tools reminded me of a learning evaluation study completed with colleagues (Wadsworth, Johnson, Cameron, & Gaudet, 2012). The study assessed use of an experiential learning style, exploring how students incorporated theoretical concepts through practice and how they brought experiences back to the classroom to more clearly discuss theory. There were so many aspects to the learnings of students, that a single, static tool would not cover it all. 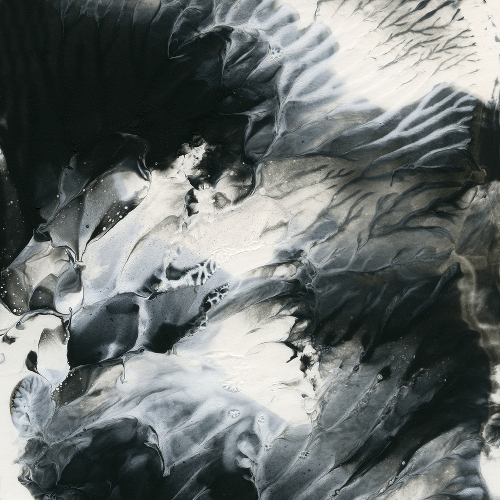 For a publication we focussed solely on empowerment as an outcome, which seemed expansive and limited at the same time. Learning is multifaceted with individuals learning in different ways. For this reason, as an educator I’ve strived to include multiple teaching methods to allow access for all types of learners. However, use of various evidence-based teaching techniques may not lend itself well to the type of assessment tool presented in the article, unless the tool remains updated with current evidence and practice. In summary, while the topic of evidence-based teaching will remain part of my professional reflections, at present I have some concerns about developing a single list of actions for teaching assessment, even though evidence-based. Such a list would need to be clearly recognized as a living document, frequently changing and that it may be unable to fully reflect learning from both facilitator and learner standpoints as learning is dynamic process. That said, such tools and discussions do help educators to recognize the need for incorporating several teaching techniques. A challenge that will always exist is that classrooms facilitators and learners change each day – their attitudes, interest and external stressors. These and other factors impact classroom engagement. Educators must remain flexible to approach the needs of learners and thus, learn to be comfortable working in the grey zone. Wadsworth, L.A., Johnson, C.J., Cameron, A.C., & Gaudet, M. (2012). (Re)Focusing on local food systems through service learning: Empowering pedagogy in a human nutrition degree program. Food, Culture & Society, 15(2), 315-334. Weimer, M. (2015). Evidence of Evidence-Based Teaching. Faculty Focus. Higher Ed Teaching Strategies, (December 2). In Evidence of evidence-based teaching, Weimer (2015) advocated for applying the concept of evidence-based practice to teaching and learning. Owing to our interests in development/evaluation of dietetics education, we considered Weimer’s post related to dietetics education. In preparing the chapter on dietetics education, MacLellan (2013) reviewed 36 studies from 1990-2013 on dietetics education and concluded that it was based largely on expert opinion and student preferences/perspectives, and that this was an understudied area, with little incentive to pursue this type of inquiry. Are dietitians interested in research on dietetic education? It seems plausible to expect that dietitians would be interested in research on best practices in dietetic education due to the creation and success of the Dietetics Educators’ Network (Dietitians of Canada), sessions on dietetics education at our national Dietitians of Canada conferences and the annual meetings of dietetic educators. We wondered then, why there is a limited amount of published research in this area? Perhaps it is due to the limited funding available for this type of research and the lack of a journal dedicated to this topic, as is the case in many other disciplines. Perhaps it is due to the tendency in our profession to not question longstanding education and training practices, or to not appear to offend or to appear disrespectful to those who developed dietetics education and traditional training practices. When we were both on Dietitians of Canada’s Advisory Committee for Professional Affairs, we advocated for and got educational evaluation to be included as one of the Canadian Foundation for Dietetic Research grant funding categories. This was one step toward an evidence base for dietetics education. We still have a long way to go to catch up to other health professions (e.g., nursing, occupational therapy) in exploring best practices in teaching. As dietitians, we pride ourselves on basing our practice on evidence. Is it not time to put the same emphasis on evidence based teaching and learning practices in dietetics? MacLellan D. (2013). Evidence-based education in nutrition and dietetics. In Evidence-Based Education in the Health Professions: Promoting Best Practice in the Learning and Teaching of Students (2013), Brown T and Williams B (Eds.). Boca Raton, FL: CRC Press. Smart eating, cooking at home and choosing the right portions are key for those looking to be a healthy weight. They are also the themes of this year’s Australia’s Healthy Weight Week (AHWW). This initiative of the Dietitians Association of Australia (DAA) celebrated from 15 – 21 February is in its ninth year and promotes Accredited Practicing Dietitians (APDs) as the experts in weight loss and healthy eating advice. In 2016 we are excited to launch new versions of our online cookbook and social media toolkit which are available to download and use for free. AHWW also provides Australian consumers with nutrition fact sheets, including information sourced from PEN®’s Food Skills Background. Our AHWW launch event held in Adelaide Australia kick-starts the week on Monday 15 February and will include live cooking demonstrations from AHWW Ambassadors Sprout. APDs around the country will then hold events at their workplaces and in their community for the rest of the week. We are also running a Twitter chat and Instagram competition throughout the week. Make sure to follow us on all social media channels, and where possible use the hashtag #AHWW for posts throughout the week. Why: Get involved from home and inspire your social networks to do the same! What: Cooking at home allows you to manage your portion sizes and increase your vegetable intake. 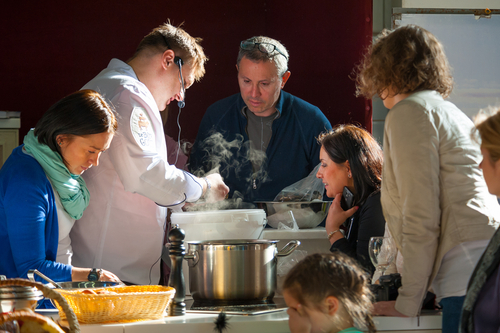 Details: Pledge to cook at home during AHWW 2016, and receive a bonus recipe via email. Using this and our AHWW cookbook as inspiration – create a meal at home and share on your Instagram account to win a trip to Adelaide to cook with Callum Hann and Themis Chryssidis. Visit our website for full terms and conditions. Get involved in AHWW - visit healthyweightweek.com.au and get inspired to help people achieve a healthier weight and lifestyle. Are you a dietitian and cannot sleep? Here are 10 reasons why you might be having trouble sleeping. Information overload - Nutrition is a broad topic. 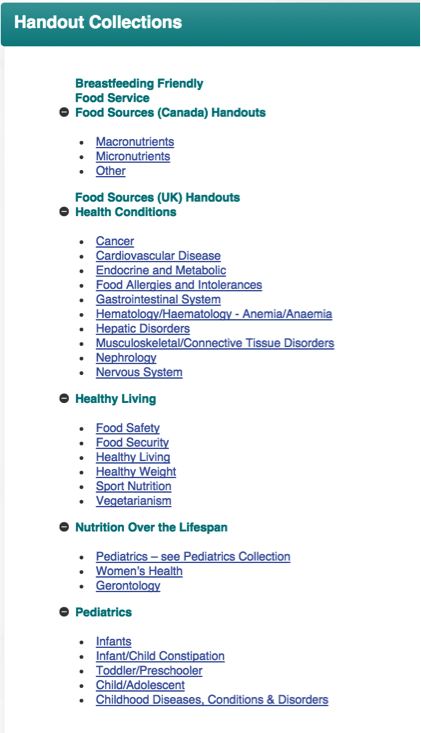 There are >20,000 nutrition citations each year in PubMed (research database). Dietitians are expected to maintain expertise in nutrition, but we are drowning in information and evidence. How do you know what information to consider and what to ignore? Translating science to practice is complicated. 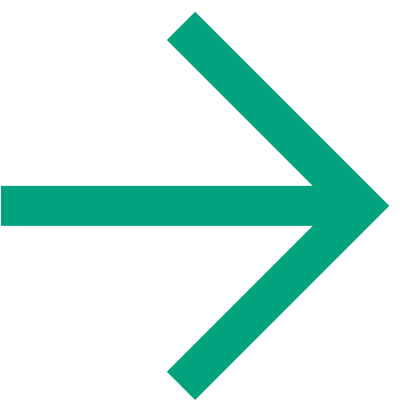 Evidence-based information needs to be combined with the dietitian's expertise and judgment and the client’s or community’s unique values and circumstances to guide decision-making and counselling in dietetics. This is complicated work. Science evolves. How can dietitians be confident that they are using the most up-to-date evidence and resources to inform dietetic practice? Lack of Time - It is time consuming to stay on top of new information as well as to translate nutrition science into digestible pieces of information that their clients and patients can “consume”. Negotiating the ‘nutrition jungle’ – The media love to profile nutrition controversies. 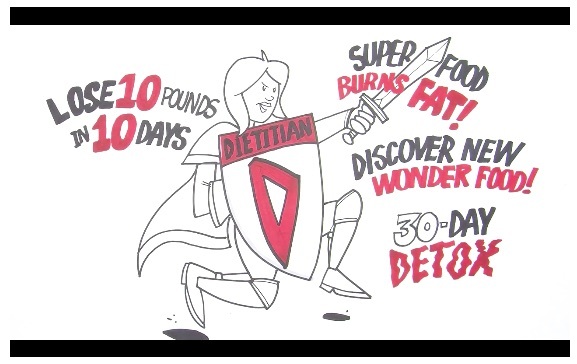 Dietitians need to apply evidence-based process to combat nutrition misinformation. We also need to convey that, despite media reports on the latest nutrition miracle or failure, complicated questions about diet and health require evidence from many different types of studies over many years before the weight of evidence shifts toward consensus. The public not understanding the difference between a dietitian and nutritionist - dietitians compete with unregulated nutrition professionals. Dietitians want recognition for their expertise in the nutrition field. How can we help differentiate the “voice” of a dietitian, over and above the nutrition “noise” in the nutrition jungle. There are many places where dietitians can go for nutrition information –Dietitians need to access the research, to be able to critically appraise the evidence, examine how this evidence impacts their practice, and also need to have access to tools and resources that are reflective of this best evidence. Dietitians are busy and need quick, reliable information sources. Continuing Education Requirements – As professionals, dietitians are required to stay up-to-date, achieved through a variety of continuing education opportunities. Continuing education is time consuming and expensive. Where will they go for their continuing education? What activities will they complete? Are these continuing education activities accessible and available? 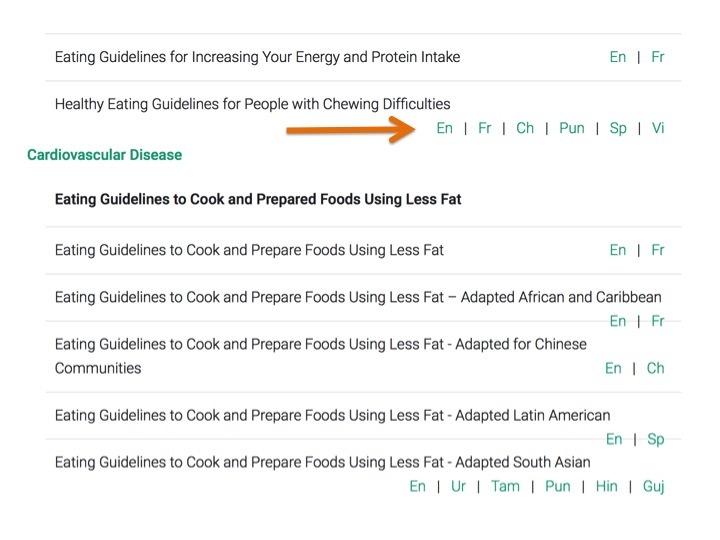 Access to unbiased practice guidance - Because food and nutrition are integrally related, there is a problem with accessing unbiased nutrition information i.e. nutrition information that is not influenced by industry or commercial interests as well as personal biases (belief-based biases, narrative reviews and consensus statements). Dietitians need ready access to timely information that they can trust and know is independent of personal, commercial and industry influence. Working with Diversity - Dietitians work with diverse populations and need tools and resources that are translated and are culturally appropriate. The Practice-based Evidence in Nutrition® (PEN) team understands your sleepless nights – because we are dietitians too! Like you, we have practice-based questions for which we need unbiased evidence-based answers. 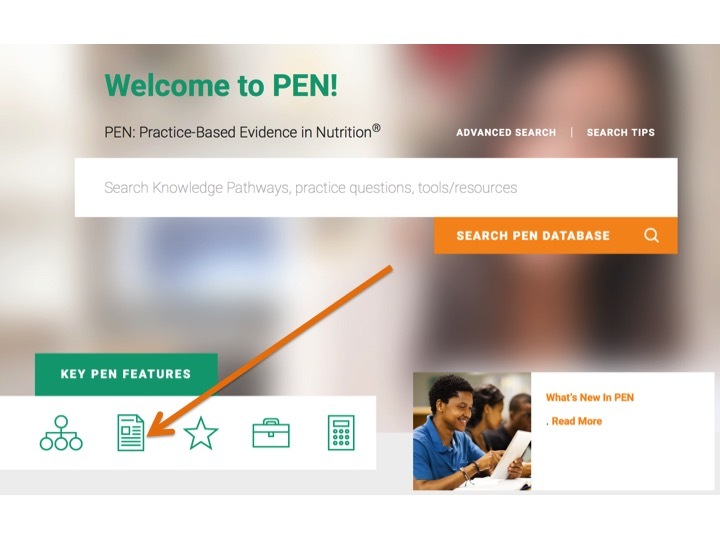 If you haven’t already, check out our PEN® database to see how we can help support your dietetic practice, so you can rest at least a little bit easier! We look forward to connecting with you and to continued work with you in 2016. Dietitians of Canada volunteered to prepare promotional materials for the International Year of Pulses 2016 to support all International Confederation of Dietetic Association (ICDA) members. Les graphiques sont aussi disponibles en Français!. For further details about the work of the United Nations, visit the Food and Agriculture Organization of the United Nations website and review the 2030 Agenda for Sustainable Development released in September 2015. The Agenda includes goals and targets to end global poverty and hunger. Our social media strategy connects dietitians from around the world through our Facebook, Twitter and LinkedIn profiles. Our social media content can be shared with your own network, further helping to position dietitians as leaders in promoting health. Social media can be used to help with knowledge transfer of new evidence to inform your dietetic practice. You can also use it to find out about our database features. Come be social with us! Follow PEN® on Twitter, like us on Facebook or connect with us on LinkedIn. Video by the Canadian Institute for Cancer Research: The Sugar-Cancer Connection – Does sugar feed cancer? World Health Organization: Sugar intake for adults and children guideline. British Nutrition Foundation: Putting new recommendations into practice: A meal plan to illustrate what 5% free sugars and 30g fibre might look like. 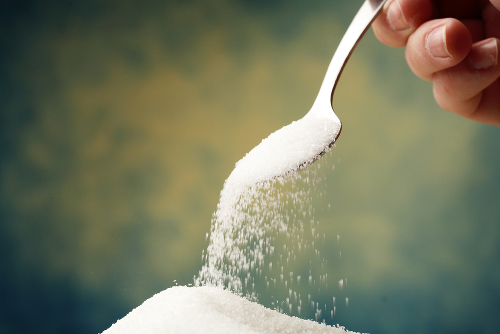 Canadian Diabetes Association: Sugars and Sweeteners. Dietitians of Canada: What are the effects of sugar intake on Early Childhood Carries? Have a look at some of the blog posts, web articles and peer-reviewed articles that caught our attention.